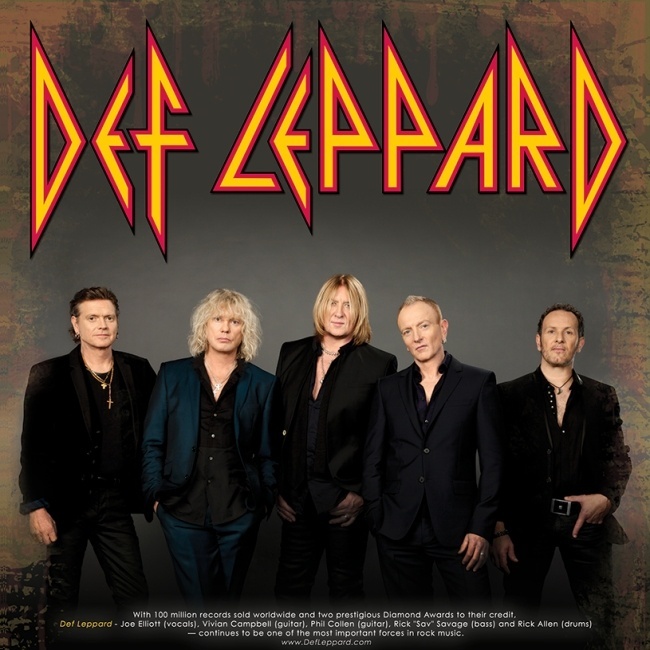 Def Leppard announced a 13 date tour of Canada in April/May 2015 today and Phil Collen has spoken about it with the local press. The band will start the tour on 15th April in Penticton, BC and wrap up on 5th May in London, ON. Phil talked to Canoe Jam Showbiz about the tour, Canadian fans, the 2015 studio album and Vivian Campbell's health. View all the tour dates below which were announced earlier today. "It's always been a bit special (the relationship with our Canadian fans) .... I've always felt it a little bit weird that we haven't come back and kind of kept a presence there. So having said that we're back and that's exactly what we are doing so it's going to be cool. This is a good thing. I'm really looking forward to it." "We have 15 songs that we're finishing off, Joe is singing I think today. I may go in, in January, just to finish off some solos and a bit of backing vocals. So I would imagine (it'll be out) April-May-ish. I don't want to promise anything because I don't really know."